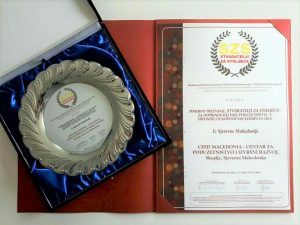 The Center for Entrepreneurship and Executive Development (CEED) CEED Macedonia has received an award and recognition for contribution to the development of entrepreneurship in Central and Southeastern Europe from the International Economic Forum Perspectives. 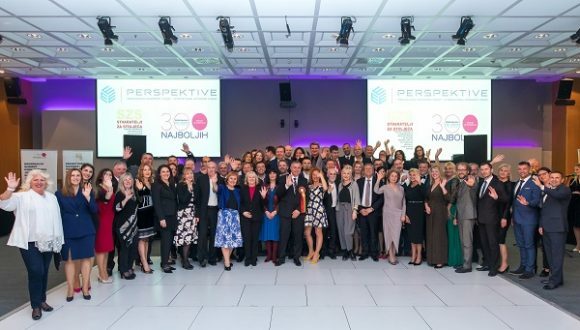 The award ceremony and the awards for contribution to the development of entrepreneurship in Central and Southeastern Europe, Creators of the Century and the Regional Summit of Entrepreneurs from Central and Southeast, Europe’s 300 Best, took place in Dubrovnik, Croatia, in March. The prestigious award and recognition were given to all those who with dedicated and creative work have contributed to the development of entrepreneurship and the development of the overall community. The process of animating proponents, proposing potential candidates, informing and animating candidates, as well as implementing the necessary procedures and deciding on winners, lasted from June, 2018 to March this year. 162 nominees from eight countries took part in the process of proposing candidates. A total number of 411 candidates from seven countries were proposed, of which 112 were nominated, and 52 of the best individuals and companies from six countries were selected and rewarded. CEED Macedonia has been playing an important role in creating successful business stories for 12 years through networking, know-how business solutions, access to finance and new markets.